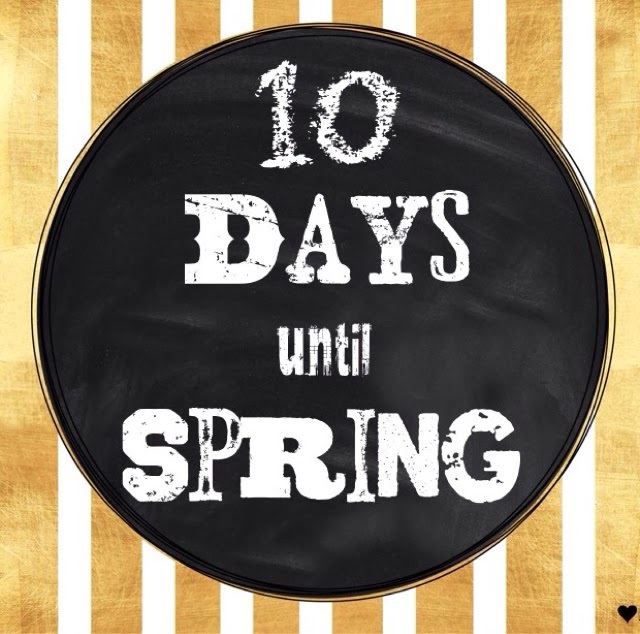 I've been counting down the days until Spring to help get me through the dreary, cold, and snowy weather we've been having here in the Midwest. It's funny how crossing off the days seems to make the time pass more quickly. Fortunately we were blessed with 50-degree temperatures today and that, along with the sunshine, really does make it seem like Spring is right around the corner!